The 2015 Miami International Boat Show is just around the corner and this year it is expected to be the biggest ever with over 3000 boats and 2000 vendors displaying from all over the world. 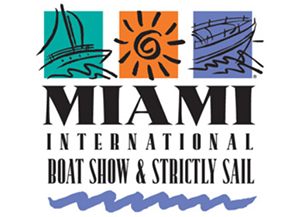 Show dates are February 12-16 and the team at All OCEAN YACHTS will be available to work with clients interested in inspecting vessel at any of the 3 locations, Strictly Sail (Miamarina Bayside), Sea Isle (Venetian Causeway) and the Miami Beach Convention Center. In addition to MIBS the Miami Yacht and Brokerage Show will run concurrent and is located on Collins Avenue in Miami Beach. Here you will see new and brokerage offerings from the entire yachting community from tenders to superyachts. The show is in-water and covers a mile long strip of the Indian Creek Waterway with yacht inventories in excess of a billion dollars. These venues combined are the premier show event of the season and a tremendous opportunity to see multiple yachts displayed and compare features and specifications. Available for inspection in the Fort Lauderdale area not far from Miami is the AOY listing LA PERLA, the 98' Yongert which is worth a look for a world cruising yacht. As always there will be exceptional world cruising sailboats presented at the show along with a number of pedigreed yachts in the area which will be available for inspection. This year you can see the most sought after world class yachts by the builders of Alloy, Jongert, Holland Jachtbouw, Palmer Johnson and Nautor's Swan and others. Please Contact Us and let us know how we can help you with your show plans. 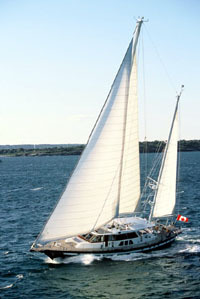 Inspections of many of the yachts are by appointment only and need to be booked in advance. So call soon! We look forward to hearing from you and seeing you in Miami.